Most Christians assume that Sunday is the biblically approved day of worship. The Roman Catholic Church protests that, indeed, it is not. The Roman Catholic Church itself without any Scriptural authority from God transferred Christian worship from the Biblical Sabbath (Saturday) to Sunday, by the command of the pagan Roman Emperor Constantine in 325 AD; and that to try to argue that the change was made in the Bible is both dishonest and a denial of Catholic authority. If Protestantism wants to base its teachings only on the Bible, it should worship on Saturday. Over one hundred years ago the Catholic Mirror ran a series of articles discussing the right of the Protestant churches to worship on Sunday—exposing their claim that the New Testament taught Sunday keeping to be false. The articles stressed that unless one was willing to accept the authority of the Catholic Church to designate the day of worship, the Christian should observe Satur­day, the true Christian Sabbath, as both the Old and New Testaments teach. Those articles are presented herein their entirety. - You will need Adobe Acrobat to read the printer-friendly version of Rome's Challenge. Download Free Program to read this article if you do not have the program. NOTE: To store a PDF file on your computer, click your right mouse button over the title of the paper, then choose "save link as" or "save target as" to load the file anywhere on your computer. Sabbath Diagnosis by C. Gary Hullquist, M.D. Web site for the *Archdiocese of Baltimore Maryland, which published the Catholic Mirror. 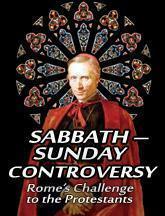 Rome’s Challenge—Why do Protestants Keep Sunday? For ready reference purposes, here are links to verses quoted in the article below. New Testament verses relating to the apostles assembling the "first day of the week"
All New Testament references to "The Lord’s Day" or "day of the Lord"
FEBRUARY 24, 1893, the General Conference of Seventh-day Adventists adopted certain resolutions appealing to the government and people of the United States from the decision of the Supreme Court declaring this to be a Christian nation, and from the action of Congress in legislating upon the subject of religion, and remonstrating against the principle and all the consequences of the same. In March 1893, the International Religious Liberty Association printed these resolutions in a tract entitled Appeal and Remonstrance. On receipt of one of these, the editor of the Catholic Mirror of Baltimore, Maryland, published a series of four editorials, which appeared in that paper September, 2, 9, 16, and 23, 1893. The Catholic Mirror was the official organ of Cardinal Gibbons and the Papacy in the United States. These articles, therefore, although not written by the Cardinal’s own hand, appeared under his official sanction, and as the expression of the Papacy to Protestantism, and the demand of the Papacy that Protestants shall render to the Papacy an account of why they keep Sunday and also of how they keep it. Our attention has been called to the above subject in the past week by the receipt of a brochure of twenty-one pages, published by the International Religious Liberty Association, entitled, "Appeal and Remonstrance," embodying resolutions adopted by the General Conference of the Seventh-day Adventists (Feb. 24, 1893). The resolutions criticize and censure, with much acerbity, the action of the United States Congress, and of the Supreme Court, for invading the rights of the people by closing the World’s Fair on Sunday. The Adventists are the only body of Christians with the Bible as their teacher, who can find no warrant in its pages for the change of the day from the seventh to the first. Hence their appellation, "Seventh-day Adventists." Their cardinal principle consists in setting apart Saturday for the exclusive worship of God, in conformity with the positive command of God Himself, repeatedly reiterated in the sacred books of the Old and New Testaments, literally obeyed by the children of Israel for thousands of years to this day, and indorsed by the teaching and practice of the Son of God whilst on earth. What Protestant pulpit does not ring almost every Sunday with loud and impassioned invectives against Sabbath [Catholic Sunday] violation? Who can forget the fanatical clamor of the Protestant ministers throughout the length and breadth of the land against opening the gates of the World’s Fair on Sunday? The thousands of petitions, signed by millions, to save the Lord’s Day from desecration? Surely, such general and widespread excitement and noisy remonstrance could not have existed without the strongest grounds for such animated protests. And when quarters were assigned at the World’s Fair to the various sects of Protestantism for the exhibition of articles, who can forget the emphatic expressions of virtuous and conscientious indignation exhibited by our Presbyterian brethren, as soon as they learned of the decision of the Supreme Court not to interfere in the Sunday opening? The newspapers informed us that they flatly refused to utilize the space accorded them, or open their boxes, demanding the right to withdraw the articles, in rigid adherence to their principles, and thus decline all contact with the sacrilegious and Sabbath-breaking Exhibition [meaning Sunday]. The Israelite respects the authority of the Old Testament only, but the Adventist, who is a Christian, accepts the New Testament on the same ground as the Old: viz., an inspired record also. He finds that the Bible, his teacher, is consistent in both parts, that the Redeemer, during His mortal life, never kept any other day than Saturday. The Gospels plainly evidence to him this fact; whilst, in the pages of the Acts of the Apostles, the Epistles, and the Apocalypse, not the vestige of an act canceling the Saturday arrangement can be found. The Adventists, therefore, in common with Israelites, derive their belief from the Old Testament, which position is confirmed by the New Testament, indorsed fully by the life and practice of the Redeemer and His apostles’ teaching of the Sacred Word for nearly a century of the Christian era. Numerically considered, the Seventh-day Adventists form an insignificant portion of the Protestant population of the earth, but, as the question is not one of numbers, but of truth, and right, a strict sense of justice forbids the condemnation of this little sect without a calm and unbiased investigation; this is none of our funeral. The Protestant world has been, from its infancy, in the sixteenth century, in thorough accord with the Catholic Church, in keeping "holy," not Saturday, but Sunday. The discussion of the grounds that led to this unanimity of sentiment and practice of over 300 years, must help toward placing Protestantism on a solid basis in this particular, should the arguments in favor of its position overcome those furnished by the Israelites and Adventists, the Bible, the sole recognized teacher of both litigants, being the umpire and witness. If however, on the other hand, the latter furnish arguments, incontrovertible by the great mass of Protestants, both cases of litigants, appealing to their common teacher, the Bible, the great body of Protestants, so far from clamoring, as they do with vigorous pertinacity for the strict keeping of Sunday, have no other [recourse] left than the admission that they have been teaching and practising what is Scripturally false for over three centuries, by adopting the teaching and practice of what they have always pretended to believe an apostate church, contrary to every warrant and teaching of sacred Scripture. To add to the intensity of this Scriptural and unpardonable blunder, it involves one of the most positive and emphatic commands of God to His servant, man: "Remember the Sabbath day, to keep it holy." Which day of the week does the Bible enjoin to be kept holy? Has the New Testament modified by precept or practice the original command? Have Protestants, since the sixteenth century, obeyed the command of God by keeping "holy" the day enjoined by their infallible guide and teacher, the Bible? And if not, why not? "But faith, fanatic faith, one wedded fast to some dear falsehood, hugs it to the last." Conformably to our promise in our last issue, we proceed to unmask one of the most flagrant errors and most unpardonable inconsistencies of the Bible rule of faith. Lest, however, we be misunderstood, we deem it necessary to premise that Protestantism recognizes no rule of faith, no teacher, save the "infallible Bible." As the Catholic yields his judgment in spiritual matters implicitly, and with the unreserved confidence, to the voice of his church, so, too, the Protestant recognizes no teacher but the Bible. All his spirituality is derived from its teachings. It is to him the voice of God addressing him through his sole inspired teacher. It embodies his religion, his faith, and his practice. The language of Chillingworth, "The Bible, the whole Bible, and nothing but the Bible, is the religion of Protestants," is only one form of the same idea multifariously convertible into other forms, such as "the Book of God," "the Charter of Our Salvation," "the Oracle of Our Christian Faith," "God’s Text-Book to the race of Mankind," etc. It is, then, an incontrovertible fact that the Bible alone is the teacher of Protestant Christianity. Assuming this fact, we will now proceed to discuss the merits of the question involved in our last issue. In the Old Testament, reference is made one hundred and twenty-six times to the Sabbath, and all these texts conspire harmoniously in voicing the will of God commanding the seventh day to be kept, because God Himself first kept it, making it obligatory on all as "a perpetual covenant." Nor can we imagine any one foolhardy enough to question the identity of Saturday with the Sabbath or seventh day, seeing that the people of Israel have been keeping the Saturday from the giving of the law, A.M. 2514 to A.D. 1893, a period of 3383 years. With the example of the Israelites before our eyes today, there is no historical fact better established than that referred to; viz., that the chosen people of God, the guardians of the Old Testament, the living representatives of the only divine religion hitherto, had for a period of 1490 years anterior to Christianity, preserved the weekly practice, the living tradition of the correct interpretation of the special day of the week, Saturday, to be kept "holy to the Lord," which tradition they have extended by their own practice to an additional period of 1893 years more, thus covering the full extent of the Christian dispensation. We deem it necessary to be perfectly clear on this point, for reasons that will appear more fully hereafter. The Bible—the Old Testament—confirmed by the living tradition of a weekly practice for 3383 years by the chosen people of God, teaches, then, with absolute certainty, that God had, Himself, named the day to be "kept holy to Him,"—that the day was Saturday, and that any violation of that command was punishable with death. "Keep you My Sabbath, for it is holy unto you; he that shall profane it shall be put to death; he that shall do any work in it, his soul shall perish in the midst of his people." Ex 31:14. We now approach a period covering little short of nineteen centuries, and proceed to investigate whether the supplemental divine teacher—the New Testament—contains a decree canceling the mandate of the old law, and, at the same time, substituting a day for the divinely instituted Sabbath of the old law, viz., Saturday; for, inasmuch as Saturday was the day kept and ordered to be kept by God, divine authority alone, under the form of a canceling decree, could abolish the Saturday covenant, and another divine mandate, appointing by name another day to be kept "holy," other than Saturday, is equally necessary to satisfy the conscience of the Christian believer. The Bible being the only teacher recognized by the Biblical Christian, the Old Testament failing to point out a change of day, and yet another day than Saturday being kept "holy" by the Biblical world, it is surely incumbent on the reformed Christian to point out in the pages of the New Testament the new divine decree repealing that of Saturday and substituting that of Sunday, kept by the Biblicals since the dawn of the Reformation. In one instance the Redeemer refers to Himself as "the Lord of the Sabbath," as mentioned by Matthew and Luke,(2) but during the whole record of His life, whilst invariably keeping and utilizing the day (Saturday), He never once hinted at a desire to change it. His apostles and personal friends afford to us a striking instance of their scrupulous observance of it after His death, and, whilst His body was yet in tomb, Luke (23:56) informs us: "And they returned and prepared spices and ointments, and rested on the sabbath day according to the commandment ...but on the first day of the week, very early in the morning, they came, bringing the spices they had prepared." The "spices" and "ointments" had been prepared Good Friday evening, because "the Sabbath drew near." (Verse 54.) This action on the part of the personal friends of the Saviour, proves beyond contradiction that after His death they kept "holy" the Saturday, and regarded the Sunday as any other day of the week. Can anything, therefore, be more conclusive than the apostles and the holy women never knew any Sabbath but Saturday, up to the day of Christ’s death? But, alas! We are once more doomed to disappointment. Nine (3) times do we find the Sabbath referred to in the Acts, but it is the Saturday (the old Sabbath). Should our readers desire the proof, we refer them to chapter and verse in each instance. Acts 13:14, 27, 42, 44. Once more, Acts 15:21; again, Acts 16:13; 17:2; 18:4. "And he [Paul] reasoned in the synagogue every Sabbath, and persuaded the Jews and Greeks";thus the Sabbath (Saturday) from Genesis to Revelation!!! Thus, it is impossible to find in the New Testament the slightest interference by the Saviour or his Apostles with the original Sabbath, but on the contrary, an entire acquiescence in the original arrangement; nay a plenary indorsement by Him, whilst living; and an unvaried, active participation in the keeping of that day and not other by the apostles, for thirty years after His death, as the Acts of the Apostles has abundantly testified to us. Hence the conclusion is inevitable; viz., that of those who follow the Bible as their guide, the Israelites and Seventh-day Adventists have exclusive weight of evidence on their side, whilst the Biblical Protestant has not a word in self-defense for his substitution of Sunday for Saturday. 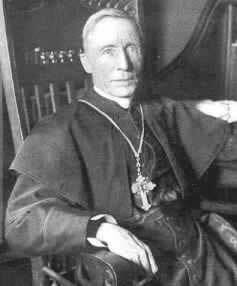 Over three centuries since, he plausibly represented to a large number of discontented and ambitious Christians the bright prospect of the successful inauguration of a "new departure," by the abandonment of the Church instituted by the Son of God, as their teacher, and the assumption of a new teacher—the Bible alone—as their newly fledged oracle. To hostile shores, or ‘whelm them in the tide." Did Jesus Change the Sabbath Day? The first reference to Sunday after the resurrection of Christ is to be found in St. Luke’s Gospel, chapter 24, verses 33-40, and St. John 20:19. The above texts themselves refer to the sole motive of this gathering of the part of the apostles. It took place on the day of the resurrection (Easter Sunday)[according to Catholic tradition], not for the purpose of inaugurating "the new departure" from the old Sabbath (Saturday) by keeping "holy" the new day, for there is not a hint given of prayer, exhortation, or the reading of the Scriptures, but it indicates the utter demoralization of the apostles by informing mankind that they were huddled together in that room in Jerusalem "for fear of the Jews," as St. John, quoted above, plainly informs us. The second reference to Sunday is to be found in St. John’s Gospel, 20th chapter, 26th to 29th verses: "And after eight days, the disciples were again within, and Thomas with them." The resurrected Redeemer availed Himself of this meeting of all the apostles to confound the incredulity of Thomas, who had been absent from the gathering on Easter Sunday evening. This would have furnished a golden opportunity to the Redeemer to change the day in the presence of all His apostles, but we state the simple fact that, on this occasion, as on Easter day, not a word is said of prayer, praise, or reading of the Scriptures. The third instance on record, wherein the apostles were assembled on Sunday, is to be found in Acts 2:1: "The apostles were all of one accord in one place." (Feast of Pentecost—Sunday.) Now, will this text afford to our Biblical Christian brethren a vestige of hope that Sunday substitutes, at length, Saturday? For when we inform them that the Jews had been keeping this Sunday for 1500 years, and have been keeping it for eighteen centuries after the establishment of Christianity, at the same time keeping the weekly Sabbath, there is not to be found either consolation or comfort in this text. Pentecost is the fiftieth day after the Passover, which was called the Sabbath of weeks, consisting of seven times seven days; and the day after the completion of the seventh weekly Sabbath day, was the chief day of the entire festival, necessarily Sunday. [The count for Pentecost does not begin with the Passover day, but it begins with the first day of the week during the Feast of Unleavened Bread, making Pentecost always fall on a Sunday.] What Israelite would not pity the cause that would seek to discover the origin of the keeping of the first day of the week in his festival of Pentecost, that has been kept by him yearly for over 3,000 years? Who but the Biblical Christian, driven to the wall for a pretext to excuse his sacrilegious desecration of the Sabbath, always kept by Christ and His apostles, would have resorted to the Jewish festival of Pentecost for his act of rebellion against his God and his teacher, the Bible? Once more, the Biblical apologists for the change of day call our attention to the Acts, chapter 20, verses 6 and 7: "and upon the first day of the week, when the disciples came together to break bread," etc. To all appearances, the above text should furnish some consolation to our disgruntled Biblical friends, but being Marplot, we cannot allow them even this crumb of comfort. We reply by the axiom: "Quod probat nimis, probat nihil"—"What proves too much, proves nothing." Let us call attention to the same Acts 2:46: "And they, continuing daily in the temple, and breaking bread from house to house," etc. Who does not see at a glance that the text produced to prove the exclusive prerogative of Sunday, vanishes into thin air—an ignis fatuus—when placed in juxtaposition with the 46th verse of the same chapter? What Biblical Christian claims by this text for Sunday alone the same authority, St. Luke, informs us was common to every day of the week: "And they, continuing daily in the temple, and breaking bread from house to house." One text more presents itself, apparently leaning toward a substitution of Sunday for Saturday. It is taken from St. Paul, 1 Cor. 16:1, 2: "Now concerning the collection for the saints," "On the first day of the week, let every one of you lay by him in store," etc. Presuming that the request of St. Paul had been strictly attended to, let us call attention to what had been done each Saturday during the Saviour’s life and continued for thirty years after, as the book of Acts informs us. The followers of the Master met "every Sabbath" to hear the word of God; the Scriptures were read "every Sabbath day." "And Paul, as his manner was to reason in the synagogue every Sabbath, interposing the name of the Lord Jesus Christ," etc. Acts 18:4. What more absurd conclusion that to infer that reading of the Scriptures, prayer, exhortation, and preaching, which formed the routine duties of every Saturday, as had been abundantly proved, were overslaughed by a request to take up a collection on another day of the week? Why, may we ask, did they not proceed to complete the work of embalming on Saturday?—Because they knew well that the embalming of the sacred body of their Master would interfere with the strict observance of the Sabbath, the keeping of which was paramount; and until it can be shown that the Sabbath day immediately preceding the Sunday of our text had not been kept (which would be false, inasmuch as every Sabbath had been kept), the request of St. Paul to make the collection on Sunday remains to be classified with the work of the embalming of Christ’s body, which could not be effected on the Sabbath, and was consequently deferred to the next convenient day; viz., Sunday, or the first day of the week. Having disposed of every text to be found in the New Testament referring to the Sabbath (Saturday), and to the first day of the week (Sunday); and having shown conclusively from these texts, that, so far, not a shadow of pretext can be found in the Sacred Volume for the Biblical substitution of Sunday for Saturday; it only remains for us to investigate the meaning of the expressions "Lord’s Day," and "day of the Lord," to be found in the New Testament, which we propose to do in our next article, and conclude with apposite remarks on the incongruities of a system of religion which we shall have proved to be indefensible, self-contradictory, and suicidal. Secure of nothing but to lose the race. We are informed that this radical change has found expression, over and over again, in a series of texts in which the expression, "the day of the Lord," or "the Lord’s day," is to be found. References to "Day of the Lord" or "Lord’s Day"
The second text of this class is to be found in 1 Cor. 1:8: "Who shall also confirm you unto the end, that you may be blameless in the day of our Lord Jesus Christ." What simpleton does not see that the apostle here plainly indicates the day of judgment? The next text of this class that presents itself is to be found in the same Epistle, chapter 5:5: "To deliver such a one to Satan for the destruction of the flesh, that the spirit may be saved in the day of the Lord Jesus." The incestuous Corinthian was, of course, saved on the Sunday next following!! How pitiable such a makeshift as this! The fourth text, 2 Cor. 1:13,14: "And I trust ye shall acknowledge even to the end, even as ye also are ours in the day of the Lord Jesus." We beg to submit our sixth of the class; viz., Philippians, first chapter, tenth verse: "That he may be sincere without offense unto the day of Christ." That day was next Sunday, forsooth! Not so long to wait after all. The seventh text, 2 Peter 3:10: "But the day of the Lord will come as a thief in the night." The application of this text to Sunday passes the bounds of absurdity. We have presented to our readers eight of the nine texts relied on to bolster up by text of Scripture the sacrilegious effort to palm off the "Lord’s day" for Sunday, and with what result? Each furnishes prima facie evidence of the last day, referring to it directly, absolutely, and unequivocally. The ninth text wherein we meet the expression "the Lord’s day," is the last to be found in the apostolic writings. The Apocalypse, or Revelation, chapter 1:10, furnishes it in the following words of John: "I was in the Spirit on the Lord’s day"; but it will afford no more comfort to our Biblical friends than its predecessors of the same series. Has St. John used the expression previously in his Gospel or Epistles?—Emphatically, NO. Has he had occasion to refer to Sunday hitherto?—Yes, twice. How did he designate Sunday on these occasions? Easter Sunday was called by him (John 20:1) "the first day of the week." A reply to these questions would be supererogatory especially to the latter, seeing that the same expression had been used eight times already by St. Luke, St. Paul and St. Peter, all under divine inspiration, and surely the Holy Spirit would not inspire St. John to call Sunday the Lord’s day, whilst He inspired Sts. Luke, Paul, and Peter, collectively, to entitle the day of judgment "the Lord’s day." Dialecticians reckon amongst the infallible motives of certitude, the moral motive of analogy or induction, by which we are enabled to conclude with certainty from the known to the unknown; being absolutely certain of the meaning of an expression, it can have only the same meaning when uttered the ninth time, especially when we know that on the nine occasions the expressions were inspired by the Holy Spirit. Nor are the strongest intrinsic grounds wanting to prove that this, like its sister texts, containing the same meaning. St. John (Rev. 1:10) says "I was in the Spirit on the Lord’s day"; but he furnishes us the key to this expression, chapter four, first and second verses: "After this I looked and behold a door opened in heaven." A voice said to him: "Come up hither, and I will show you the things which must be hereafter." Let us ascend in spirit with John. Whither?—through that "door in heaven," to heaven. And what shall we see?—"The things that must be hereafter," chapter four, first verse. He ascended in spirit to heaven. He was ordered to write, in full, his vision of what is to take place antecedent to, and concomitantly with, "the Lord’s day," or the day of judgment; the expression "Lord’s day" being confined in Scripture to the day of judgment exclusively. "The Sabbath instituted in the beginning and confirmed again and again by Moses and the prophets has never been abrogated. A part of the moral law, not a part or tittle of its sanctity has been taken away." The above official pronouncement has committed that large body of Biblical Christians to the permanence of the third commandment under the new law. We again beg to leave to call the special attention of our readers to the twentieth of "the thirty-nine articles of religion" of the Book of Common Prayer; "It is not lawful for the church to ordain anything that is contrary to God’s written word." We have in this series of articles, taken much pains for the instruction of our readers to prepare them by presenting a number of undeniable facts found in the word of God to arrive at a conclusion absolutely irrefragable. When the Biblical system put in an appearance in the sixteenth century, it not only seized on the temporal possessions of the Church, but in its vandalic crusade stripped Christianity, as far as it could, of all the sacraments instituted by its Founder, of the holy sacrifice, etc., retaining nothing but the Bible, which its exponents pronounced their sole teacher in Christian doctrine and morals. Chief amongst their articles of belief was, and is today, the permanent necessity of keeping the Sabbath [Catholic Sunday] holy. In fact, it has been for the past 300 years the only article of the Christian belief in which there has been a plenary consensus of Biblical representatives. The keeping of the Sabbath constitutes the sum and substance of the Biblical theory. The pulpits resound weekly with incessant tirades against the lax manner of keeping the Sabbath [Catholic Sunday] in Catholic countries, as contrasted with the proper, Christian, self-satisfied mode of keeping the day in Biblical countries. Who can ever forget the virtuous indignation manifested by the Biblical preachers throughout the length and breadth of our country, from every Protestant pulpit, as long as yet undecided; and who does not know today, that one sect, to mark its holy indignation at the decision, has never yet opened the boxes that contained its articles at the World’s Fair? These superlatively good and unctuous Christians, by conning over their Bible carefully, can find their counterpart in a certain class of unco-good people in the days of the Redeemer, who haunted Him night and day, distressed beyond measure, and scandalized beyond forbearance, because He did not keep the Sabbath [Catholic Sunday] in as straight-laced manner as themselves. They hated Him for using common sense in reference to the day, and He found no epithets expressive enough of His supreme contempt for their Pharisaical pride. And it is very probably that the divine mind has not modified its views today anent the blatant outcry of their followers and sympathizers at the close of this nineteenth century. But when we add to all this the fact that whilst the Pharisees of old kept the true Sabbath, our modern Pharisees, counting on the credulity and simplicity of their dupes, have never once in their lives kept the true Sabbath which their divine Master kept to His dying day, and which His apostles kept, after His example, for thirty years steward, according to the Sacred Record. The most glaring contradiction, involving a deliberate sacrilegious rejection of a most positive precept, is presented to us today in the action of the Biblical Christian world. The Bible and the Sabbath [Catholic Sunday] constitute the watchword of Protestantism; but we have demonstrated that it is the Bible against their Sabbath [Protestant Sunday]. We have shown that no greater contradiction ever existed than their theory and practice. We have proved that neither their Biblical ancestors nor themselves have ever kept one Sabbath day in their lives. The Israelites and Seventh-day Adventists [and Sabbath keeping churches of God] are witnesses of their weekly desecration of the day named by God so repeatedly, and whilst they have ignored and condemned their teacher, the Bible, they have adopted a day kept by the Catholic Church. What Protestant can, after perusing these articles, with a clear conscience, continue to disobey the command of God, enjoining Saturday to be kept, which command his teacher, the Bible, from Genesis to Revelation, records as the will of God? The history of the world cannot present a more stupid, self-stultifying specimen of dereliction of principle than this. The teacher demands emphatically in every page that the law of the Sabbath be observed every week, by all recognizing it as "the only infallible teacher," whilst the disciples of that teacher have not once for over three [now four] hundred years observed the divine precept! That immense concourse of Biblical Christians, the Methodists, have declared that the Sabbath has never been abrogated, whilst the followers of the Church of England, together with her daughter, the Episcopal Church of the United States, are committed by the twentieth article of religion, already quoted, to the ordinance that the Church cannot lawfully ordain anything "contrary to God’s written word." God’s written word enjoins His worship to be observed on Saturday absolutely, repeatedly, and most emphatically, with a most positive threat of death to him who disobeys. All the Biblical sects occupy the same self-stultifying position which no explanation can modify, much less justify. How truly do the words of the Holy Spirit apply to this deplorable situation! "Iniquitas mentita est sibi"—"Iniquity hath lied to itself." Proposing to follow the Bible only as teacher, yet before the world, the sole teacher is ignominiously thrust aside, and the teaching and practice of the Catholic Church—"the mother of abomination," when it suits their purpose so to designate her—[they have] adopted, despite the most terrible threats pronounced by God Himself against those who disobey the command, "Remember to keep holy the Sabbath." Before closing this series of articles, we beg to call the attention of our readers once more to our caption, introductory of each; viz., 1. The Christian Sabbath [Catholic Sunday], [is] the genuine offspring of the union of the Holy Spirit with the Catholic Church His spouse. 2. The claim of Protestantism to any part therein proved to be groundless, self-contradictory, and suicidal. The first proposition needs little proof. The Catholic Church for over one thousand years before the existence of a Protestant, by virtue of her divine mission, changed the day from Saturday to Sunday. We say by virtue of her divine mission, because He who called Himself the "Lord of the Sabbath," endowed her with His own power to teach, "he that heareth you, heareth Me"; commanded all who believe in Him to hear her, under penalty of being placed with "heathen and publican"; and promised to be with her to the end of the world. She holds her charter as teacher from Him—a charter as infallible as perpetual [which is a lie]. The Protestant world at its birth found the Christian Sabbath [Catholic Sunday] too strongly entrenched to run counter to its existence; it was therefore placed under the necessity of acquiescing in the arrangement, thus implying the [Catholic] Church’s right to change the day, for over three [now four] hundred years. The Christian Sabbath [Catholic Sunday] is therefore to this day, the acknowledged offspring of the Catholic Church as spouse of the Holy Ghost, without a word of remonstrance from the Protestant world. [EDITORS’ NOTE (Written by Michael Scheifler) — It was upon this very point that the Reformation was condemned by the Council of Trent. The Reformers had constantly charged, as here stated, that the Catholic Church had "apostatized from the truth as contained in the written word." "The written word," "The Bible and the Bible only," "Thus saith the Lord," were their constant watchwords; and "the Scripture, as in the written word, the sole standard of appeal," was the proclaimed platform of the Reformation and of Protestantism. "The Scripture and tradition." "The Bible as interpreted by the Church and according to the unanimous consent of the Fathers," was the position and claim of the Catholic Church. This was the main issue in the Council of Trent, which was called especially to consider the questions that had been raised and forced upon the attention of Europe by the Reformers. "The Protestants claim to stand upon the written word only. They profess to hold the Scripture alone as the standard of faith. They justify their revolt by the plea that the Church has apostatized from the written word and follows tradition. Now the Protestant claim, that they stand upon the written word only, is not true. Their profession of holding the Scripture alone as the standard of faith is false. PROOF: The written word explicitly enjoins the observance of the seventh day as the Sabbath. They do not observe the seventh day but reject it. If they do truly hold the scripture alone as their standard, they would be observing the seventh day as is enjoined in the Scripture throughout. Yet they not only reject the observance of the Sabbath enjoined in the written word, but they have adopted and do practice the observance of Sunday, for which they have only the tradition of the Church. Consequently the claim of ‘Scripture alone as the standard,’ fails; and the doctrine of ‘Scripture and tradition’ as essential, is fully established, the Protestants themselves being judges." There was no getting around this, for the Protestants’ own statement of faith—the Augsburg Confession, 1530—had clearly admitted that "the observation of the Lord’s day" had been appointed by "the Church" only [meaning the Catholic Church]. Should any of the reverend parsons, who are habituated to howl so vociferously over every real or assumed desecration of that pious fraud, the Bible Sabbath, think well of entering a protest against our logical and Scriptural dissection of their mongrel pet [that Sunday keeping is taught in the Bible], we can promise them that any reasonable attempt on their part to gather up the disjecta membra of the hybrid, and to restore to it a galvanized existence, will be met with genuine cordiality and respectful consideration on our part. But we can assure our readers that we know these reverend howlers too well to expect a solitary bark from them in this instance. And they know us too well to subject themselves to the mortification which a further dissection of this antiscriptural question would necessarily entail. Their policy now is to "lay low," and they are sure to adopt it. These articles are reprinted, and this leaflet is sent forth by the publishers, because it gives from an undeniable source and in no uncertain tone, the latest phase of the Sunday-observance controversy, which is now, and which indeed for some time has been, not only a national question with the leading nations, but also an international question. Not that we are glad to have it so; we would that Protestants everywhere were so thoroughly consistent in profession and practice that there could be no possible room for the relations between them and Rome ever to take the shape which they have now taken. It may be asked, Why did not Rome come out as boldly as this before? Why did she wait so long? It was not for her interest to do so before. When she should move, she desired to move with power, and power as yet she did not have. But in their strenuous efforts for the national, governmental recognition and establishment of Sunday, the Protestants of the United States were doing more for her than she could possibly do for herself in the way of getting governmental power into her hands. This she well knew and therefore only waited. And now that the Protestants, in alliance with her, have accomplished the awful thing, she at once rises up in all her native arrogance and old-time spirit, and calls upon the Protestants to answer to her for their observance of Sunday. This, too, she does because she is secure in the power which the Protestants have so blindly placed in her hands. In other words, the power which the Protestants have thus put into her hands she will now use to their destruction. Is any other evidence needed to show that the Catholic Mirror (which means the Cardinal and the Catholic Church in America) has been waiting for this, than that furnished on page 21 of this leaflet? Please turn back and look at that page, and see that quotation clipped from the New York Herald in 1874, and which is now brought forth thus. Does not this show plainly that that statement of the Methodist bishops, the Mirror, all these nineteen years, has been keeping for just such a time as this? And more than this, the Protestants will find more such things which have been so laid up, and which will yet be used in a way that will both surprise and confound them. "The avidity with which these editorials have been sought, and the appearance of a reprint of them by the International Religious Liberty Association, published in Chicago, entitled, ‘Rome’s Challenge: Why Do Protestants Keep Sunday?’ and offered for sale in Chicago, New York, California, Tennessee, London, Australia, Cape Town, Africa, and Ontario, Canada, together with the continuous demand, have prompted the Mirror to give permanent form to them, and thus comply with the demand. "The pages of this brochure unfold to the reader one of the most glaringly conceivable contradictions existing between the practice and the theory of the Protestant world, and unsusceptible of any rational solution, the theory claiming the Bible alone as teacher, which unequivocally and most positively commands Saturday to be kept ‘holy,’ whilst their practice proves that they utterly ignore the unequivocal requirements of their teacher, the Bible, and occupying Catholic ground for three centuries and a half, by the abandonment of their theory, they stand before the world today the representatives of a system the most indefensible, self-contradictory, and suicidal that can be imagined. "We feel that we cannot interest our readers more than to produce the ‘Appendix’(8)which the International Religious Liberty Association, and ultra-Protestant organization, has added to the reprint of our articles. The perusal of the Appendix will confirm the fact that our argument is unanswerable, and that the only recourse left to the Protestants is either to retire from Catholic territory where they have been squatting for three centuries and a half, and accepting their own teacher, the Bible, in good faith, as so clearly suggested by the writer of ‘Appendix,’ commence forth-with to keep the Saturday, the day enjoined by the Bible from Genesis to Revelation; or, abandoning the Bible as their sole teacher, cease to be squatters, and a living contradiction of their own principles, and taking out letters of adoption as citizens of the kingdom of Christ on earth—His Church—be no longer victims of self-delusive and necessary self-contradiction. “There remaineth therefore a rest to the people of God” (King James Version). As we will see this is an incorrect translation, rooted in bias against the holy Sabbath day of God. Because of this erroneous translation, and Protestant hostility against the seventh-day weekly Sabbath—the Fourth Commandment—in preference to Sunday, this verse is almost universally misinterpreted and misunderstood. In fact, the true meaning of Hebrews 4:9 is the very opposite of the false interpretation assumed and taught by many churches, ministers and theologians. Such absurd reasoning is completely contrary to the Word of God. Jesus Himself said that He did not come to abolish or “do away with” the laws and commandments of God, but “to fulfill them” (Matt. 5:17-18). Nor did Christ fulfill any commandment in order to release Christians from their obligation to keep God’s laws. Indeed, He set the perfect example for us to free us from committing sin, which is the transgression of the Law (I Pet. 2:21-22, I John 3:4). Jesus did not come to keep the commandments in our stead. Years into his ministry, the apostle Paul said that he was still zealous for the laws of God (Acts 22:3)—which would certainly include the Sabbath commandment. When we understand and absorb the full meaning of the Greek text of Hebrew 4:9, there is no question that the New Testament upholds the authority of the Fourth Commandment. The Greek word used here for “rest” is sabbatismos (σαββατισμος), which means “Sabbath rest, Sabbath observance” (Arndt and Gingrich, A Greek-English Lexicon of the New Testament). This definition is confirmed by other historical works: “The words ‘sabbath rest’ is from the [Greek] noun sabbatismos, [and is] a unique word in the NT. This term appears also in Plutarch (Superset. 3 [Moralia 166a]) for sabbath observance, and in four post-canonical Christian writings which are not dependent on Heb. 4:9” (The Anchor Bible Dictionary, Vol. 5, p. 856). This is historical evidence that true Christians were observing the seventh-day Sabbath long after Emperor Constantine declared that Sunday was the “Christian” day of worship in 325 AD. While sabbatismos is a noun, the verb form of the word is sabbatizo (σαββατιζω), which means, “to keep the Sabbath” (A Greek-English Lexicon of the New Testament). This definition of sabbatizo is confirmed by its use in the Septuagint, a Greek translation of the Old Testament dating from third century BC. Jews used the Septuagint in synagogues throughout the Roman Empire; Greek-speaking Jewish and Gentile coverts to Christianity used this translation throughout the early New Testament period. This is why the apostle Paul quotes extensively from the Septuagint in his Epistle to the Hebrews, which went to all the true churches of God—Jew and Gentile. When Paul used sabbatismos in Hebrews 4:9, he did so knowing that its meaning was well known to the Greek-speaking believers of that day. After all, its verb form (sabbatizo) is widely employed in the Septuagint—which, as a translation, was as familiar to the Greek- speaking Jews and Gentiles of the early Church as the King James Bible is to Christians today. For example, the use of the verb sabbatizo in Leviticus 23:32 in the Septuagint substantiates its meaning. The Greek English Lexicon of the Septuagint defines sabbatizo as “to keep [a] sabbath, to rest” (Lust, Eynikel, Hauspie). The English translation of this verse in the Septuagint reads: “It [the Day of Atonement] shall be a holy sabbath [literally, ‘a Sabbath of Sabbaths’] to you; and ye shall humble your souls, from the ninth day of the month: from evening to evening shall ye keep your sabbaths” (The Septuagint With the Apocrypha, Brenton). The phrase “shall ye keep your sabbaths” is translated from the Greek phrase, sabbatieite ta sabbata (σαββατιειτε τα σαββατα)—which literally means, “you shall sabbathizethe Sabbaths.” The form of the Greek verb sabbatizo is the second person plural sabbatieite, which means, “ye shall keep”—“you all,” meaning everyone shall keep the Sabbath. Throughout the entire Septuagint, the verb sabbatizo is never used except in relation to “Sabbath-keeping.” Understanding this definition, the KJV translators translated sabbatieiteas, “shall ye celebrate your sabbath.” However, they deliberately did not translate sabbatismos that way in Hebrews 4:9 because of Sunday keeping bias—following the lead of the Roman Catholic Church, as Rome’s Challenge so forcefully argues. There is no question that the Greek verb sabbatizo in Leviticus 23:32 is specifically referring to Sabbath observance. This meaning equally applies to the noun form sabbatismos, used by Paul. Thus, the continuity of the Septuagint’s use of sabbatizo and the use of sabbatismos in Hebrews 4:9 confirms that Paul was upholding the observance of the seventh-day Sabbath for all true Christians. The use of sabbatismos in Hebrews 4:9 directly contradicts any false teaching that the Fourth Commandment has been abolished. As the context of Hebrews Four shows, the observance of the seventh-day Sabbath as a day of rest and worship is as binding for the people of God today as it was since creation, the days of King David and for all Israel of old. It becomes clear that Hebrews 4:9 does not mean that Christians have entered into some sort of “spiritual rest” which exempts them from their obligation to keep the Sabbath, or any other commandments of God. Rather, this verse must be taken as instructive—that Christians are indeed commanded to keep the Sabbath day. Consequently, this verse should be translated correctly as the original Greek meant, “There remains, therefore, Sabbath-keeping for the people of God”—Jew and Gentile alike.